Heat a skillet and dry roast the millet for 5 minutes. Remove and place in a medium saucepan with the quinoa, red quinoa, water, and sea salt. Cover and bring to a boil. Reduce heat to low and simmer 20 minutes. Remove from heat and let sit covered for 10 minutes. Remove, place in a mixing bowl, and fluff to cool. 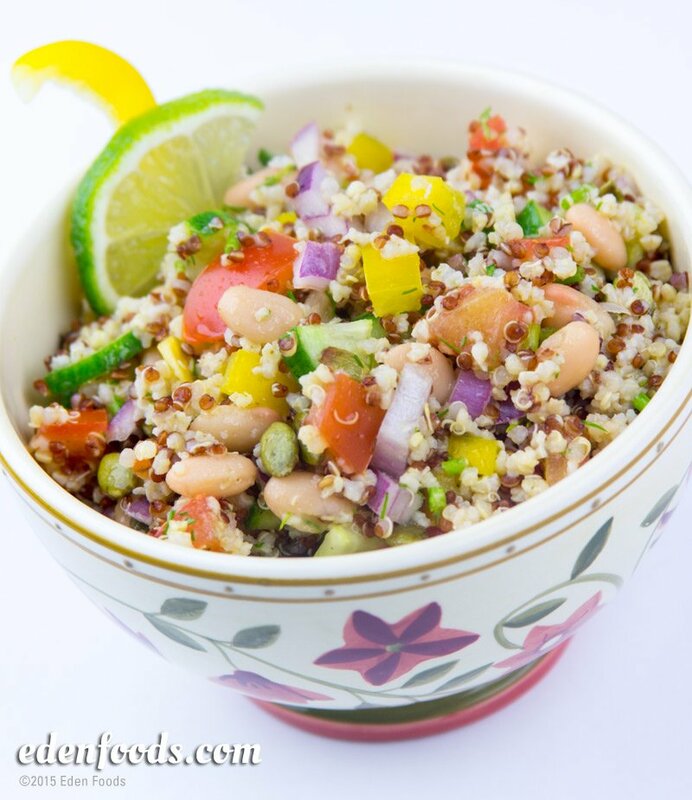 When the millet and quinoa is room temperature place in a serving bowl and add the beans, cucumbers, yellow pepper, onion, tomatoes, pumpkin seeds, and dill. Combine the dressing ingredients and mix. Pour over the salad ingredients and toss to thoroughly mix. Serve room temperature or chill slightly before serving.